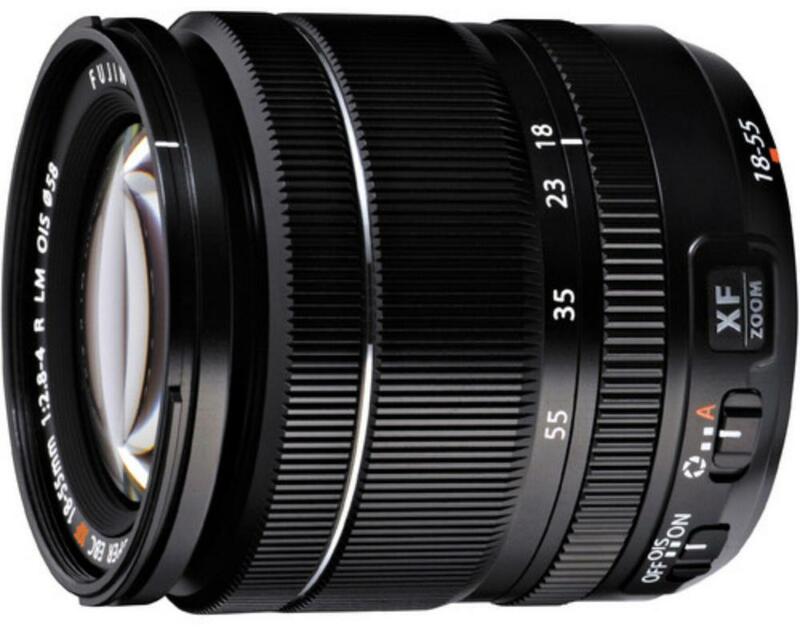 The Fuji XF 18-55mm f/2.8-4 R OIS Zoom Lens features a maximum aperture of f/2.8 and a broad focal length range giving any photographer the ability to respond to a variety of shooting subjects. 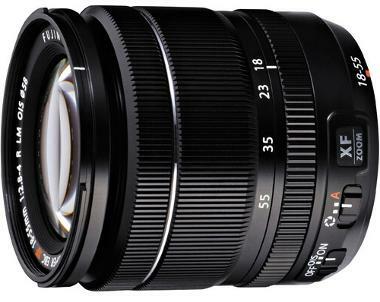 Easily portable thanks to its compact size and fast thanks to its linear motor-driven autofocus (along with built-in functionality of four stops of image stabilization), this lens is a great walking-around lens for the Fuji set. It sports 3 aspherical lens elements and 1 abnormal dispersion element preventing aberration to give you crisp details and accurate colors throughout the image frame. Covering a standard zoom range from basic wide-angle to medium telephoto, this lens is ideal for group shots to portraiture, cityscapes to natural vistas, as well as street photography. • Minimum Focus Distance: 11.81"